An old Colonial style Electric, simple yet functional and perfect for many different rooms and settings. Old hotels and restaurants used these simple lights in their lobby and the hotel rooms themselves when originally powered by candle. Mount it up or downward. 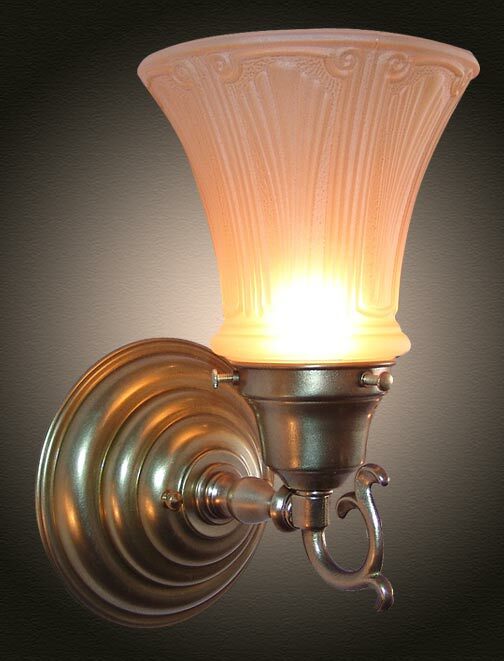 Perfect for bathroom or powder room or accent lighting in a dining room or as hallway lights. Width 6 In. / Projection 9 In. / Depth 10 In.